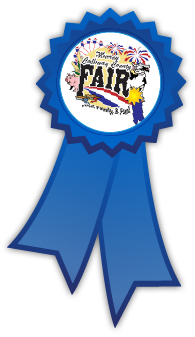 Admission to the show and carnival rides are free with paid fair admission of $12.00 per person. Thank you to Warehouse Tire for sponsoring trophies for the Kids’ stock class. Lawn and Garden Tractor Pulling at its best! Featuring: single cylinder tractors up to 60 hp and motorcycle-powered tractors. If you enjoy watching power and tract come together you will enjoy the pull. All single cylinder tractors must be powered at 4000 RPM or be equipped with steel flywheel and shielded 360 degrees with 1/8 inch steel plate or equivalent. RPM's will be checked. All tractors will be equipped with an anti-roll over device (wheelie bars) extending at least 5 inches past furthest point of rear tires. A working kill switch is required on all modified tractors. A helmet is required and fire jacket is suggested on all modified. Hitch height (13 inches) will be checked in all classes on scales as you are being weighed. Be prepared to make adjustments is necessary. Twin cylinder tractors will run, but classes will be determined at pull. Entry fees will be $15.00 in all classes with 2/3 payback and $400 added money (Note: There will be a class made for any 3 tractors if they do not qualify for these.) One driver admitted free per pulling tractor (must accompany tractor on grounds). Equipment and Services provided by Mr. John Waldrop, Double W Pulling.